"Profiles of America’s Most Interesting Workers and Business Owners"
Continuing from the success of his first reality show DIRTY JOBS, host Mike Rowe sets out on a journey in the uplifting show SOMEBODY’S GOTTA DO IT. Rowe travels across the country with his camera team as he interviews and learns about interesting people who live lives of passion, perseverance and purpose. The series is very clean and nearly perfect for the entire family. However, younger children might get bored with the Reality TV aspect and want more engaging material to watch. Still, this is a family-friendly program to have playing in the background or sitting down as a family to watch. It has something for everyone. All of the three episodes MOVIEGUIDE® watched contained some strong moral and even Christian elements. For example, one program on a hot air balloon business contained many mentions of being “close to God” and the majesty of God’s creation. Another episode showed a couple trusting what God planned for them. The series also has a strong pro-capitalist focus on the value of hard work and working as if for the Lord instead of for the pleasures of this world. Continuing from the success of his first reality show DIRTY JOBS, host Mike Rowe sets out on a journey in the uplifting show SOMEBODY’S GOTTA DO IT. Rowe travels across the country with his camera team as he interviews and learns about interesting people who live lives of passion, perseverance and purpose. Originally broadcast on CNN, SOMEBODY’S GOTTA DO IT has made TBN its new home, and Mike is pretty excited about it. “The people we feature on this show are exactly what the country needs right now – real and regular folks with a genuine sense of humor, a genuine passion for what they do and a genuine desire to share that passion with America. There’s just no way you can watch this show and not feel better about the species, and I know the TBN audience will love the people who gotta do it,” says Rowe. He faced some backlash over moving to a faith-based channel like TBN, but Mike understands that people can find anything to attack. CNN has revamped its content and is producing more news about the hardship and turmoil that Americans experience, and though its necessary to know what’s happening in our world today so we can better pray for the redemption of our nation, SOMEBODY’S GOTTA DO IT offers hope and light in a world that is very dark right now. So, the switch was a no-brainer for Rowe, and the program has already had a positive impact. There are hardly any foul language, obscenities or immoral references in SOMEBODY’S GOITTA DO IT. Even after going through a second time and watching some episodes, there was practically no evidence of profanity or unbiblical worldviews. The series is very clean and nearly perfect for the entire family. However, younger children might get bored with the Reality TV aspect and want more engaging material to watch. Still, this is a family-friendly program to have playing in the background or sitting down as a family to watch. It has something for everyone. All of the three episodes MOVIEGUIDE® watched contained some strong moral and even Christian elements. For example, one program on a hot air balloon business contained many mentions of being “close to God” and the majesty of God’s creation. Another episode showed a couple trusting what God planned for them. The series also has a strong pro-capitalist focus on the value of hard work and working as if for the Lord instead of for the pleasures of this world. Mike Rowe never explicitly states this is a Christian TV show, but each episode is filled with redemptive messages and every premise tells the story of triumph through childlike faith. Overall, SOMEBODY’S GOTTA DO IT is an interesting, uplifting, fun show for the whole family. 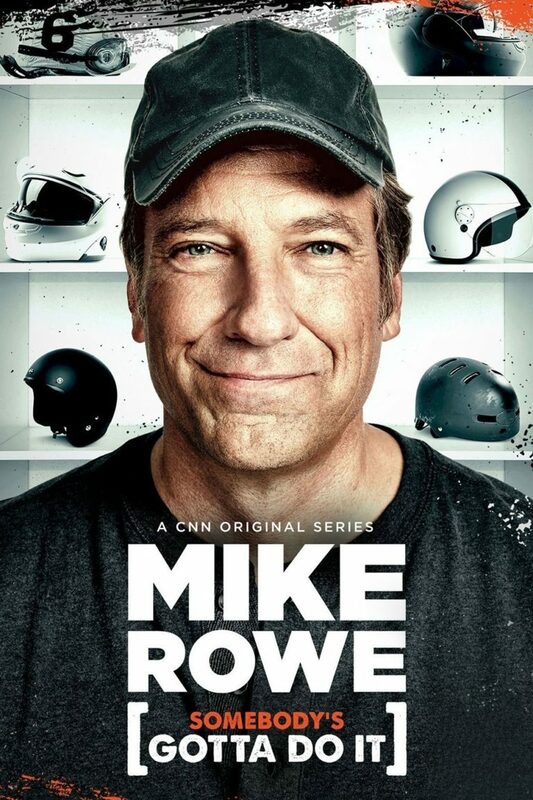 To read more about Mike Rowe and the positive light he’s shedding on the American working class and Americans running small business, please read our Internet article at https://www.movieguide.org/news-articles/mike-rowe-responds-to-criticism-for-joining-christian-network-tbn.html.